Posted by ASCLS Maine on 03/31/2015. Enhance your professional knowledge through ASCLS's unique P.A.C.E. (Professional Acknowledgment for Continuing Education) programs, audio-conferences, workshops and online course offerings. P.A.C.E. provides continuing educaiton content, relevancy to the profession, qualification of faculty and structure and more. 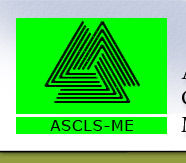 For more information on our Membership Benefits, visit ASCLS Membership Benefits.